The basic concept is simple: artists meet and exchange original works of art, thus spreading their work while gathering a collection. Additionally, each invited artist donates one work of art to the permanent collection of the Freies Museum. The exchange cycle also gives the artists the opportunity to be part of an exhibition of the newly acquired Freies Museum collection, which will serve as a closing reception at the end of the ACE project. 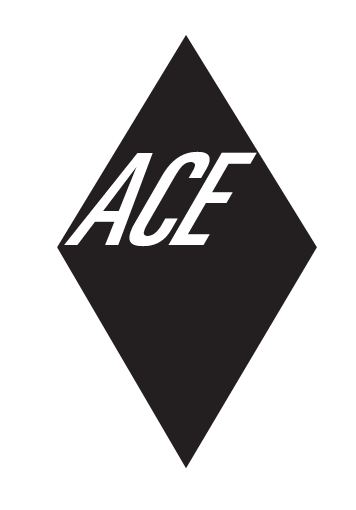 Another aspect of ACE is the exchange of positive criticism on each work presented by the artists. This allows the ACE participants to discuss their practices and gain insight on their work. Each session will be photographically documented. A text will also be written about the artists and their work, the conversation that took place, enriching the exchange from a critical point of view. ACE invites 6 artists to come to an informal afternoon gathering during which they swap their artworks. Each participants gives away 6 works of art and receives 6. Each participant donates one piece of works to the collection of the Freies Museum. The type of pieces to be swapped are small works not exceeding a size of A2. The work is given unframed, and it is the responsibility of the collector to frame it and/or preserve it. The exchange takes place around a large table at the Freies Museum and ends with tea and cake being served. In turn, these 6 host artists invite 6 new artists for the next meeting. 6 more such afternoon exchange meetings take place. 14 people attend to each succeeding event, that is the 6 host artists + 6 guest artists. Each time, the host artists exchange 6 works of art with the new guest artists, and these 6 guest artists donate one work of art to the collection of the Freies Museum. The cycle is planned to start on Wednesday, the 21st of September, and will be followed by 6 more meetings. Each host artist has given 36 works of arts, and received 36 works of art. The collection of the Freies Museum is enlarged by 36 works of art from 36 different artists. Firstly, an exhibition of the newly acquired ACE collection will take place at the Freies Museum. During this show, a catalogue containing all 6 artist collections + the museum collection will be presented. Next, a series of viewings featuring each artist's collection, which will take place at the home or studio of each collector. It is planned that these viewings will take place over 6 consecutive days. Each artist will have their own page on this blog, with records of their growing collection. A catalogue/book including the 6+1 collections, as well as material documenting the ACE cycle will be designed and produced according to finance. This project was conceived and implemented by Alexine Chanel, Sara-Lena Maierhofer and the Freies Museum. copyright alexine chanel. Simple theme. Powered by Blogger.